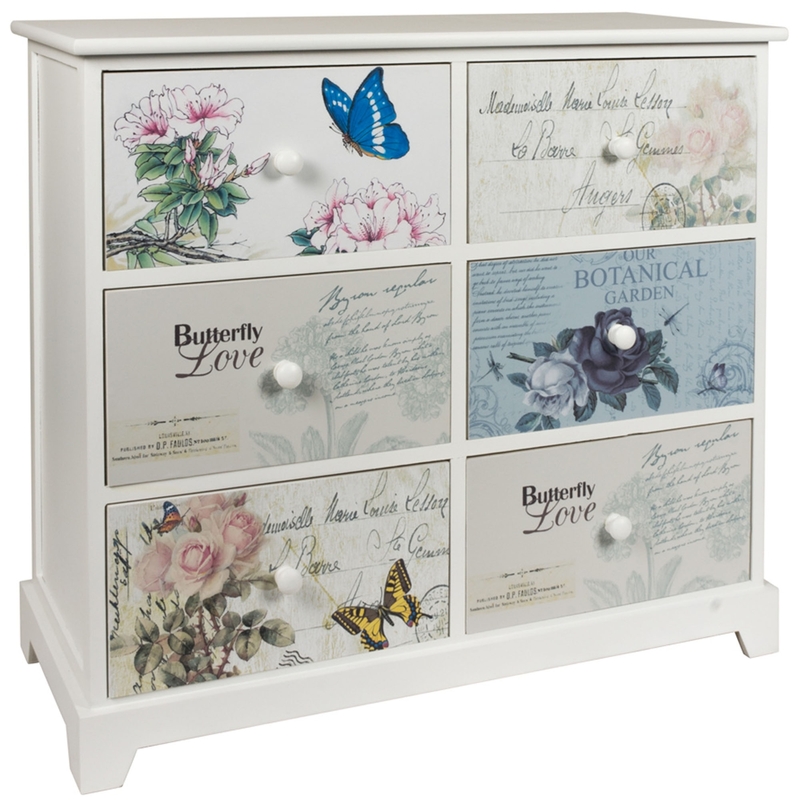 Make your home feel a lot more sophisticated and charming by introducing this beautiful Shabby Chic Butterflies 6 Drawer Chest. This 6 drawer chest features a lovely array that has 6 unique patterned drawers that'll be certain to stand out and grab attention. The white combines with the colourful designs to create a very charming piece.